İ cant sleep because of thinking about the novel.İ am sure it will be epic.DOnt get me wrong but,isn’t there any way you can publish this novel earlier than spring!? Sorry Mustafa, that’s my publisher’s choice! Spring it is … hope it’ll be worth the wait. I was wondering if you are going to make a sequel to this book? I really enjoyed the first one! Going along with Andrew, I am curious myself! I haven’t read the comics, but I do wonder will you continue Lanoree Brocks story? I can’t help but feel that this story really should continue in book format. Hi Andrew and Harry … who knows? I’d like to write more about Lanoree, but that’ll depend on whether the publishers want to see more. Just finished reading into the void good story…. Huge cliffhanger though!!! When are we going to be able find out what that ship was that crashed on Thython?????!?!? 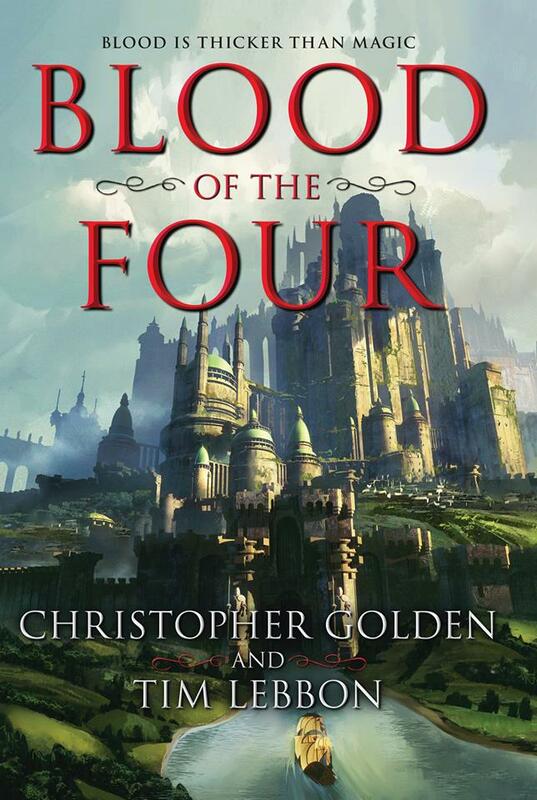 Epic story that I really need too read more of. Please put out a sequel. Just got done reading I LOVED it. And the cliff hanger!!! Will they allow a sequel of have you heard anything due to the new “Non-Canon” announcement? I for one am not listening to Disney and everything that was canon before is still canon to me! Sequel :(! Found this book in a shoppette in Afghanistan that was closing down and decided to check it out. This was my first venture into the Star Wars novels… and I couldn’t be happier. What an excellent read. I truly hope there will be more from this setting and era. I will most definitely be reading them! Again, applause to you Tim. Very well done. I have read all the comics and I love this book!! I am going to read it again and I really hope to see more of Lanoree in this time period. Please tell me there will be a sequel. Has the publisher hinted at anything in the near future? Excellent job Tim! Just finished it as well and so so awesosme!!!!! I was literally milking the last 20 pages. I wanted to find out how the story ended but I knew there was nothing after for me to read next in this story line. I know that there are some comic books that extend the story but I need a traditional novel format. Tim is there anyone or anyway we can express our desire for you to write various sequals? Thanks Mike, there’s no sign of a sequel yet, I’m afraid. I think the Disney acquisition shook things up a bit. But I really hope I get to write in the EU again at some point. And Rafael, thanks so much. It’s always worth commenting on the Star Wars Books FB page. Into the Void was a blast. I loved the descriptions of the temples on Tython. You can really architect a scene with words. I hope there is a sequel. It’d be the first time we saw the Rakata in print. 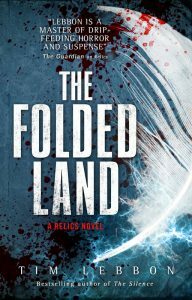 Also, have you ever considered doing a novel on Xendor? He’s an original thinker who tries to revive the old traditions at a time when the Jedi are increasingly dogmatic. Before he broke with the Jedi he was a great explorer. I can see him excavating a ruined temple on Tython and rediscovering Lanoree’s writings. Might be a nice tie-in. I just finished this amazing book. It got me so excited to read more Star Wars books. I hope you get to write more from this era. Amazing read! 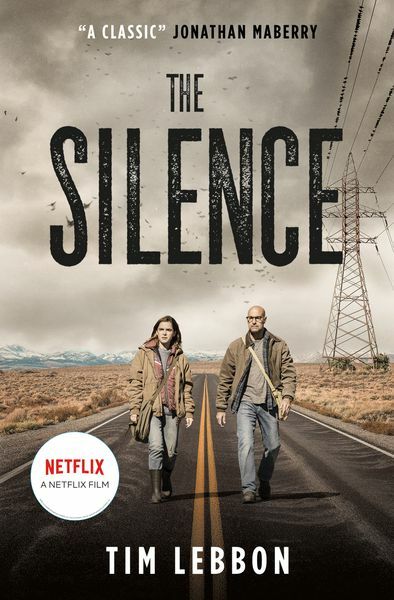 Very well done with captivating story and interesting characters. I’m desperately hoping for a sequel to this book. I must know of her future ventures! Thank you so much for this fantastic story! I have bare bern able to put i down. The depths of the charactor Lanoree is breathetaking. I think I was i tears about 2-3 times. Thankyou for making the Force a so much wider and more essential aspect, than descrieber in anything i have read bedore. Just finished this novel and I am dying for more! I started out with the Star Wars written universe in a different collection and discovered this one and loved it as well. I really wish there were more about Lenoree and that mysterious alien ship. There are just so many cliffhangers! Ahh! I don’t know anything about the comic series on this, but now I’m going to have to figure it out somehow. Thanks for this awesome adventure! I absolutely loved this story, I decided a few months back I wanted to read Star Wars novels from the beginning of the timeline, all the way towards the end. This book was the first beginning so far back in time that I was skeptical about how it would turn out, but you definitely showed me that you know how to make Star Wars novels. I was on the edge of my seat when I got to the last 3 chapters or so (around when they entered Sunspot) and I was so excited as to what was going to happen next. I really hope that you get the chance to make a sequel out of this because I’d love to read more of Lanoree’s life as a Je’daii. Keep doing what you do best Mr. Lebbon, I hope to see more stuff like Into the Void. It was well written and I am going to start reading it again: only 2 weeks after I read it the first time (which I normally don’t do). I truly hope you will write another novel for the “Dawn of the Jedi” series. I, like others, wait for your next Star Wars work. I just finished reading this book today, and got a distinct feeling there was a sequel but I don’t see anything. I loved it and can’t wait to read more. Is there a sequel ? 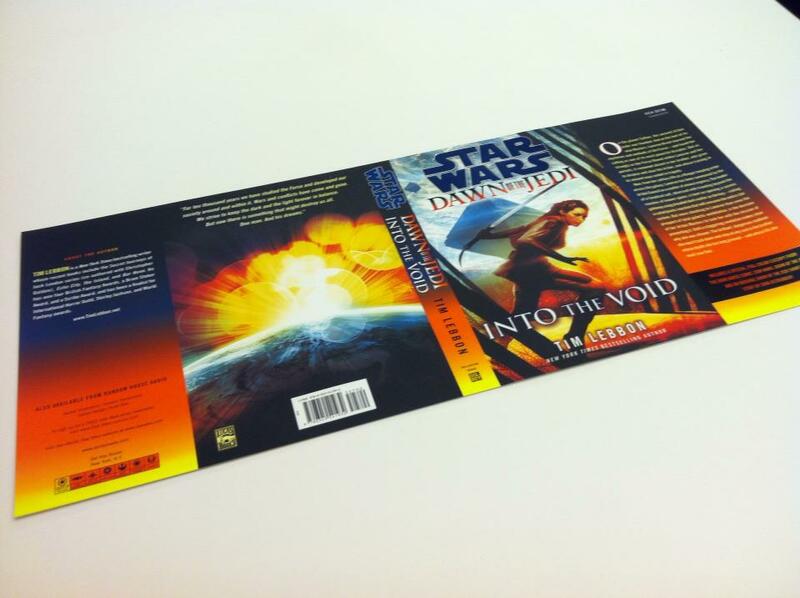 So as a last minute gift from me, my 13 year old daughter asked a Hard Copy of your Dawn of the Jedi-Into the Void book, but I’m afraid it will not get to Florida before we head to NYC for our Christmas vacation. Any thoughts where in NYC, I could definitely purchase a Hard Cover copy with her? The surprise of taking her unknowingly to a NYC book store and finding this book would be a great gift during our vacation in the Big Apple. We’ve collected all the Star Wars Canon books and are starting the Legends collection starting with Into the Void. Any info from you or your readers in the NYC area would be greatly appreciated. Thanks! I’d love to write another Star Wars, but we’ll see. This was book was amazing and awesome. I have always wanted to start researching and understanding Star Wars from a historical perspective and this book does that well. It just broke my heart to find out that it was not going to be canon. The book leaves us with such a cliff hanger and I want more, even if they moved it in EU. Please keep us posted if your going to write Star Wars again, they need more authors like you. Hello just wondering where I might find the adventures of Lanoree Brock that you posted on the kindle daily post website! That’ll be in my Star Wars novel, Dawn of the Jedi: Into the Void. Thanks, David! I’d love to write a sequel — in fact, I originally envisaged the adventures of Lanoree Brock as a trilogy. But since the Disney takeover, I doubt it’ll ever happen, sadly. Hi Tim, I’m wondering if need to read all the comics to understand the book or whether I can just read it as a stand alone. Thanks. Hi Will, you’ll be fine reading it as a standalone. It’s set in the same star system as the comics, but is standalone, with only a few crossover characters. I first read this book a few years ago and really enjoyed it. I have always hoped that you would publish a sequel. Just now I have made the connection surrounding the expanded universe and have just realized that it applies to the entire timeline. Not to the stories surrounding episodes 1-9. My question for you is, if you wanted to write additional works surrounding Into the Void, would it have to be approved by Disney and officially adopted as canon for the universe? Just for curiosity, is this something you have attempted? Is why you have said that you doubt a trilogy will ever occur? 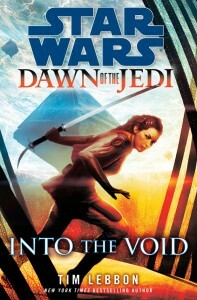 I just finished Into the Void and am horrified that there isn’t a sequel yet! The book was really amazing and I really enjoyed it. Will you be able to do a follow up? I honestly think this could be a trilogy with their own movies at some point. I was also wondering if there was any tie-in with Ashla (the light side of the force) and the alias Ashla that Ahsoka Tano assumes after the events of Order 66? or is it just coincidence? Thank you for the great story telling! I just finished Into the Void, and I absolutely loved it. I sincerely hope you get to write more. I would love to read the whole trilogy and get to experience more of this era in the star wars universe. Thank you for all your work thus far!